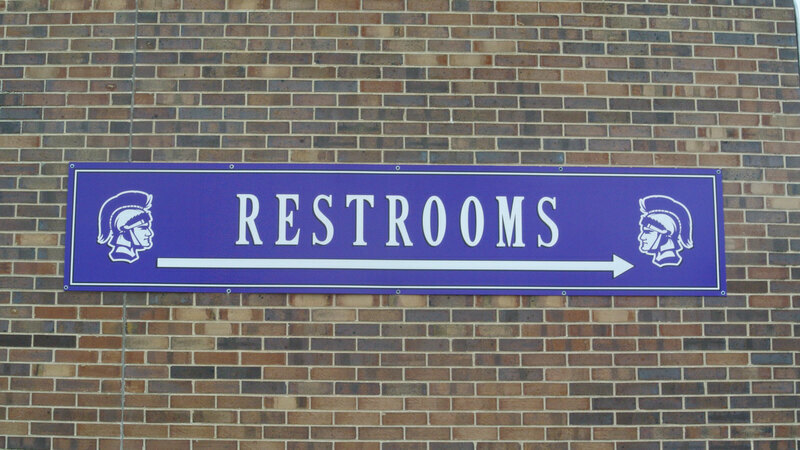 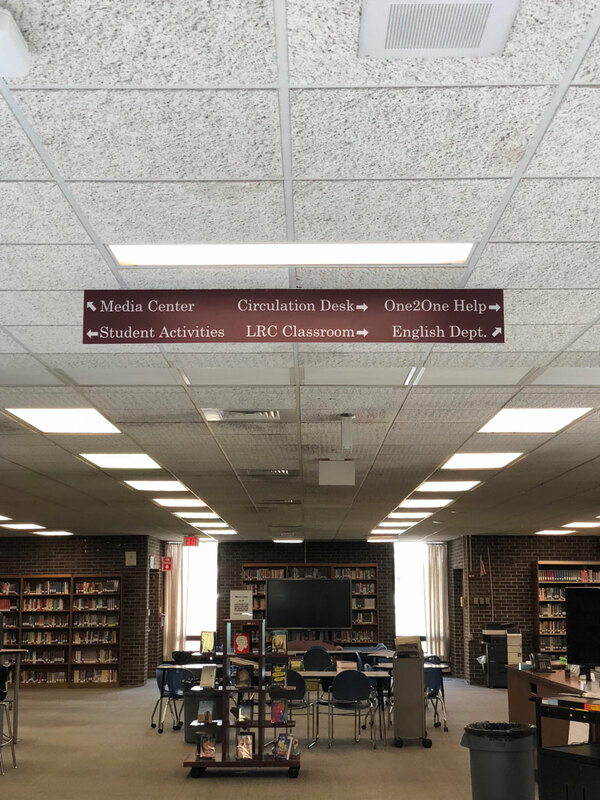 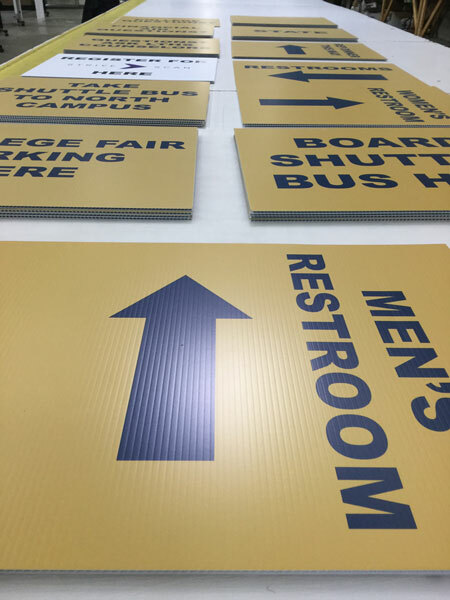 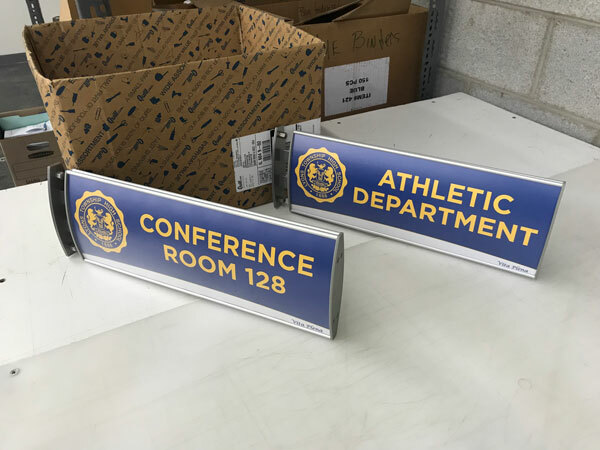 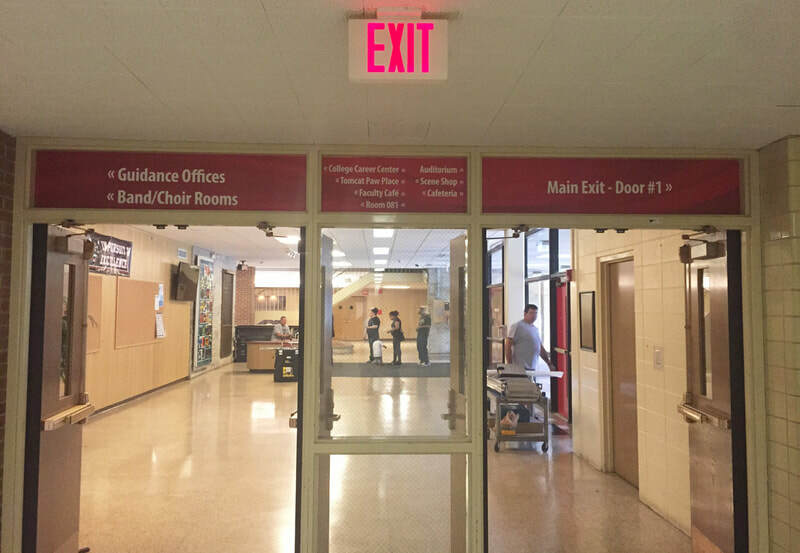 Custom internal directional signs can be designed and sized to fit your needs. 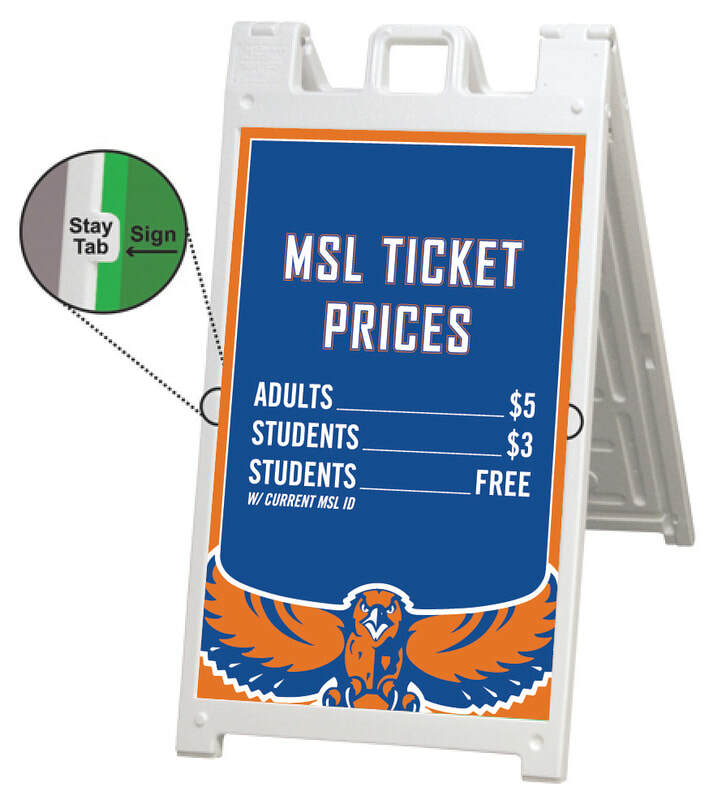 Easy snap frame assembly makes changing these graphics quick and easy. 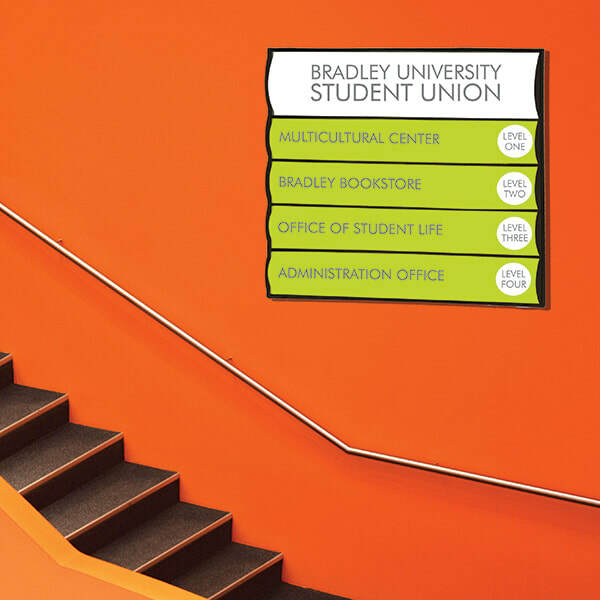 Entrance signs make a lasting impression. 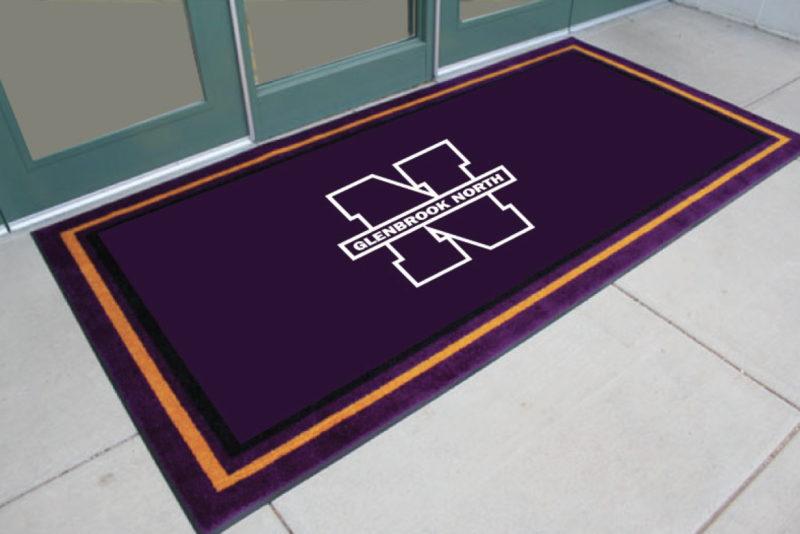 Whether it's your office entrance or your parking lot, you will get noticed. 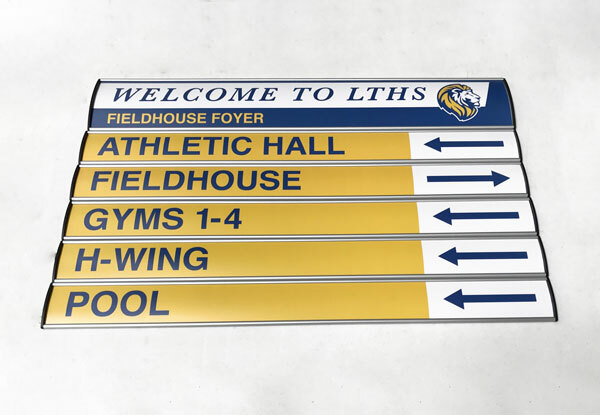 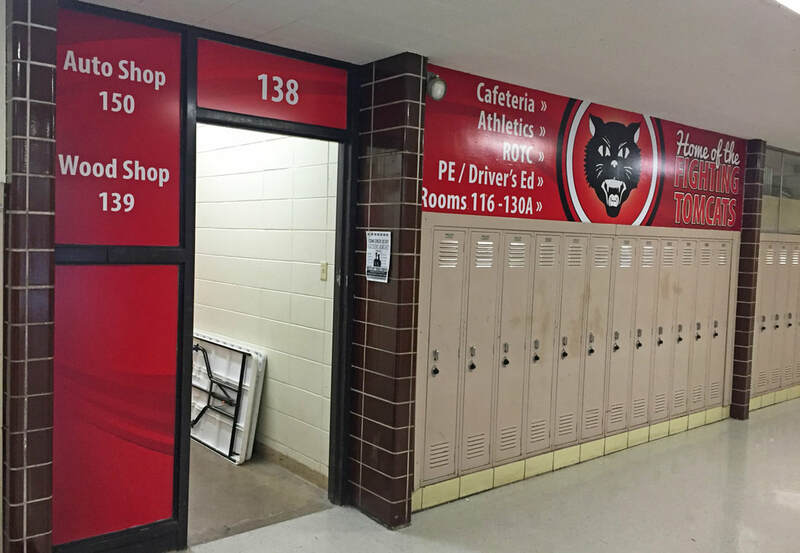 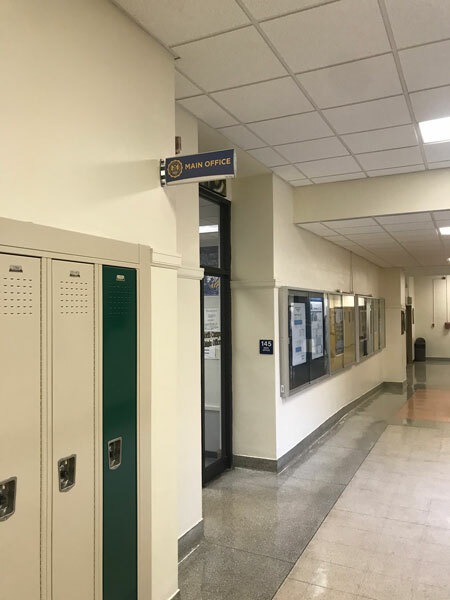 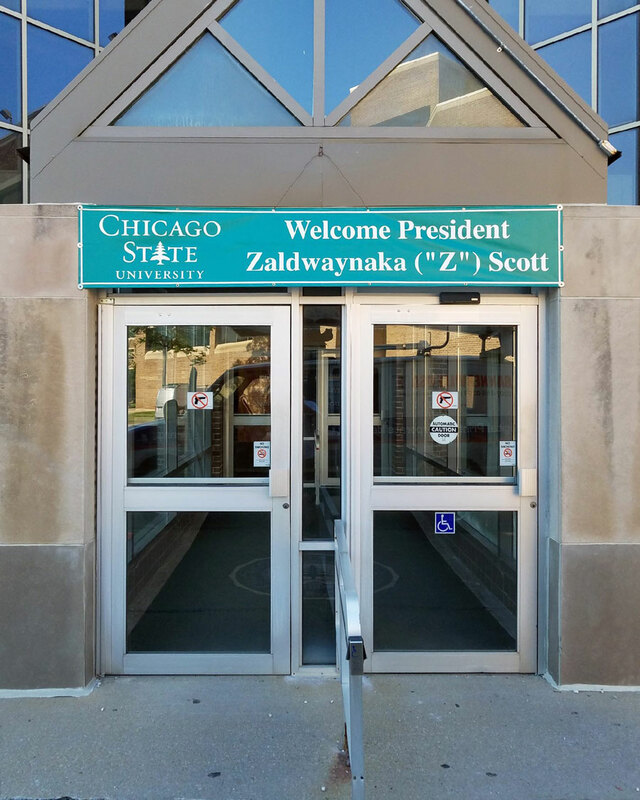 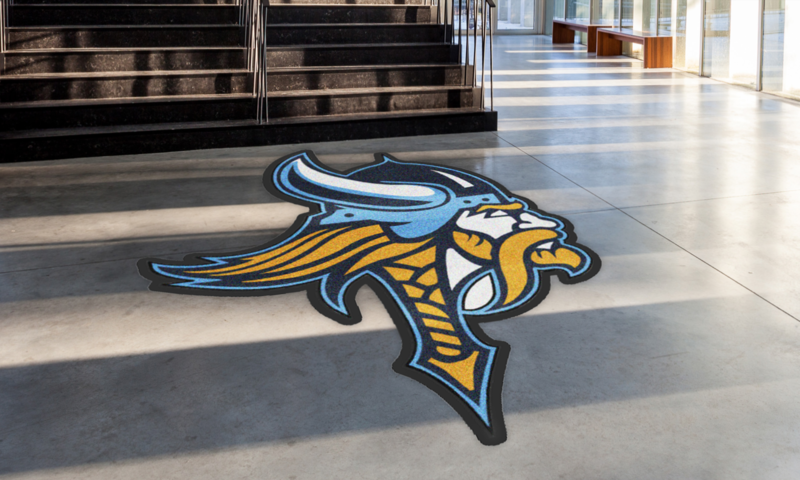 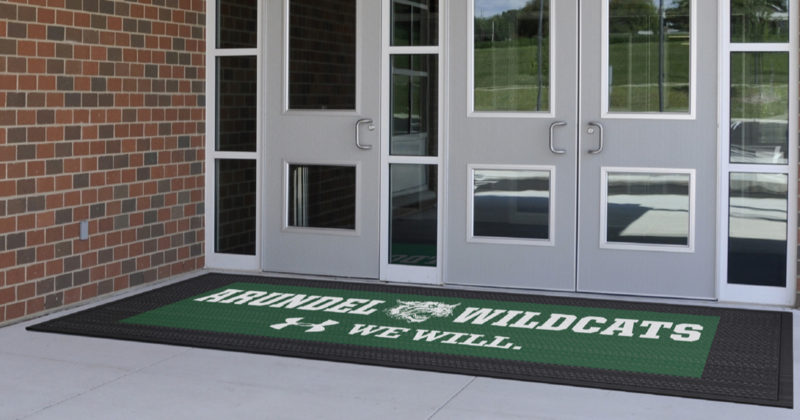 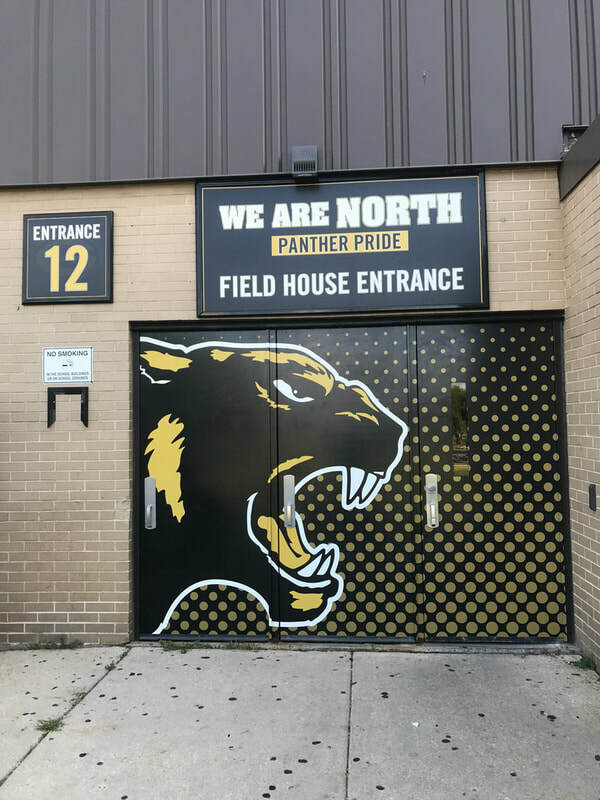 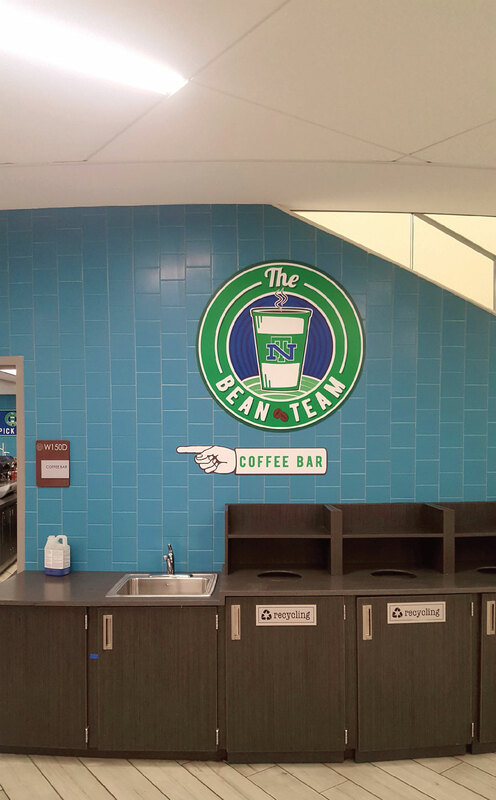 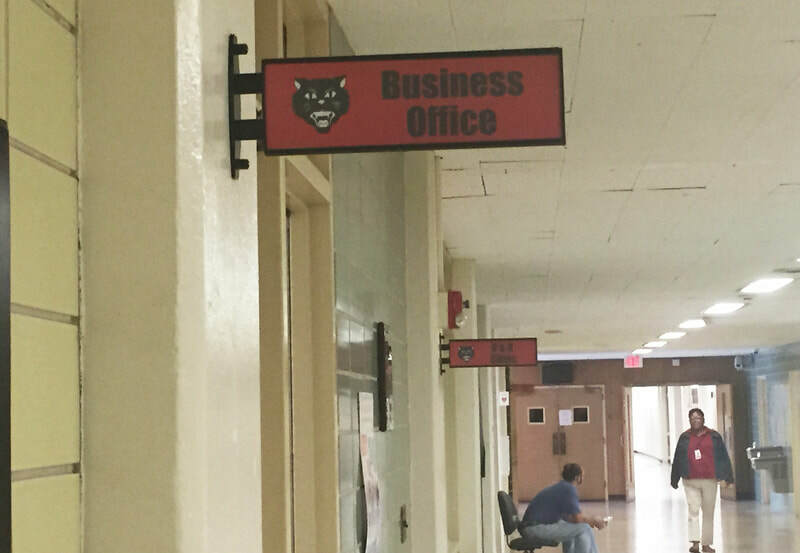 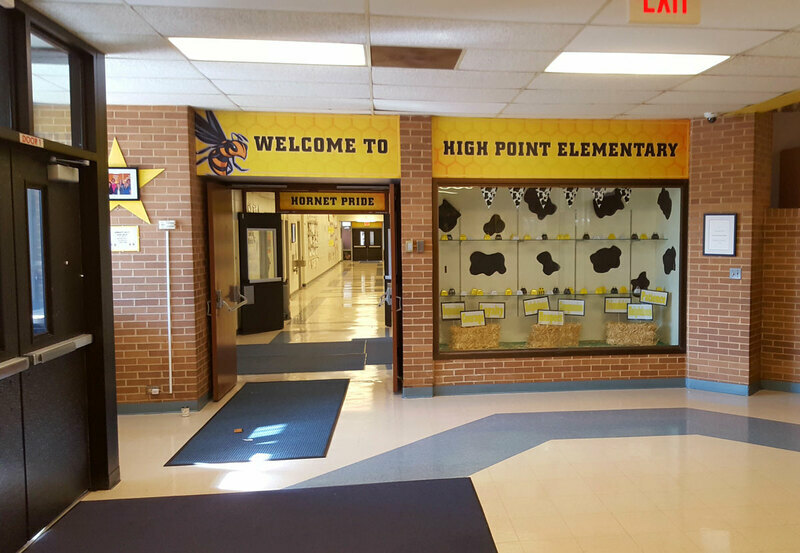 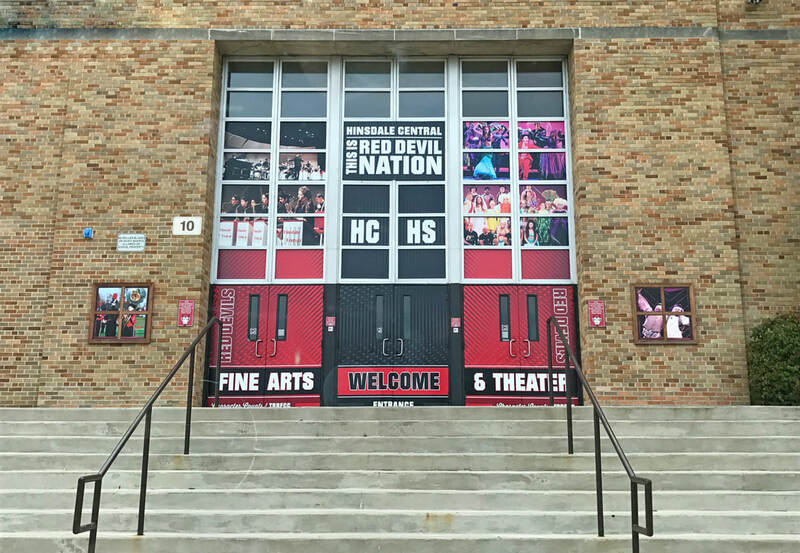 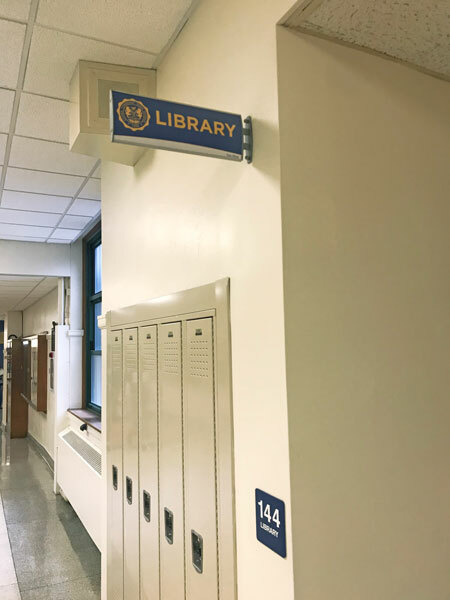 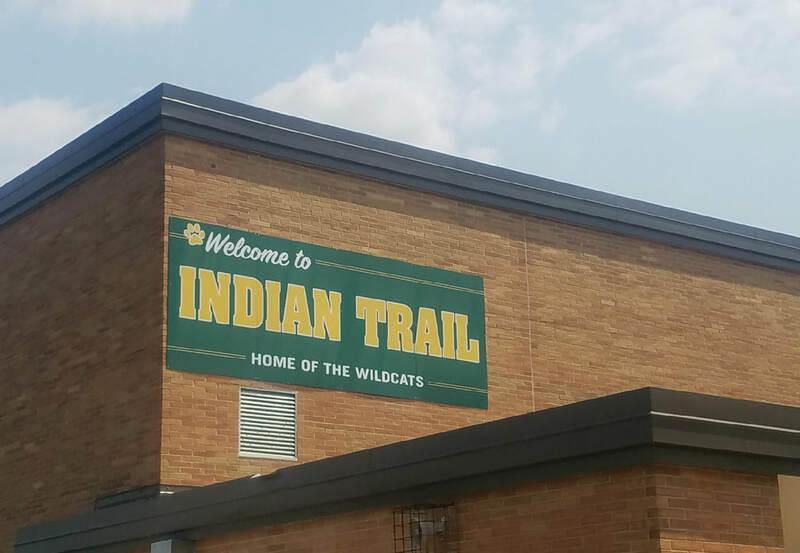 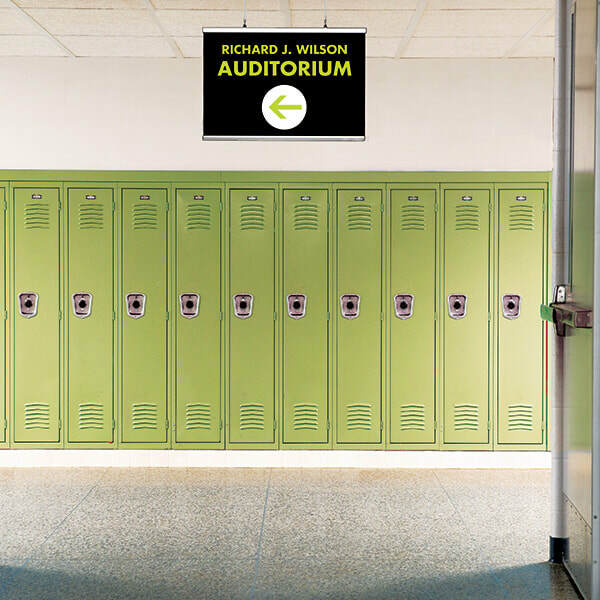 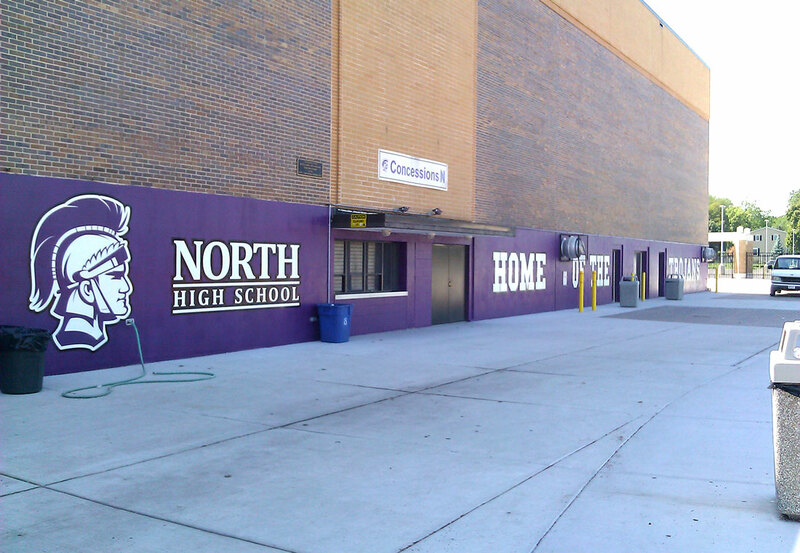 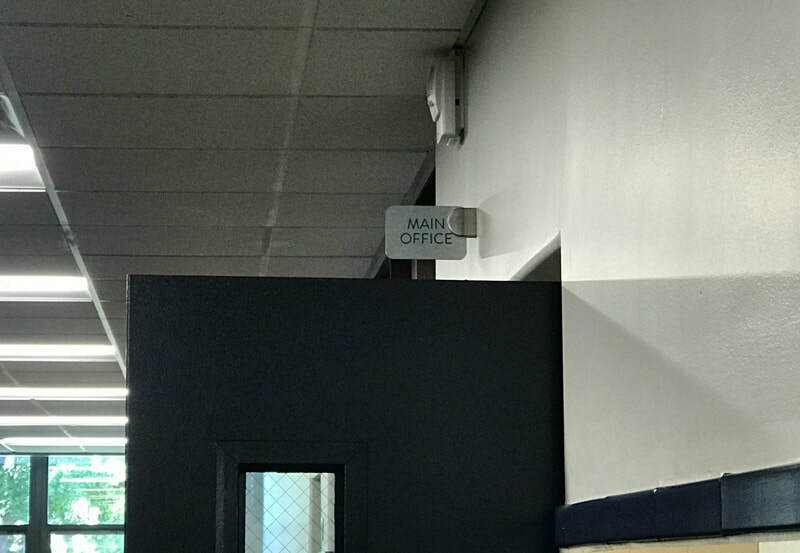 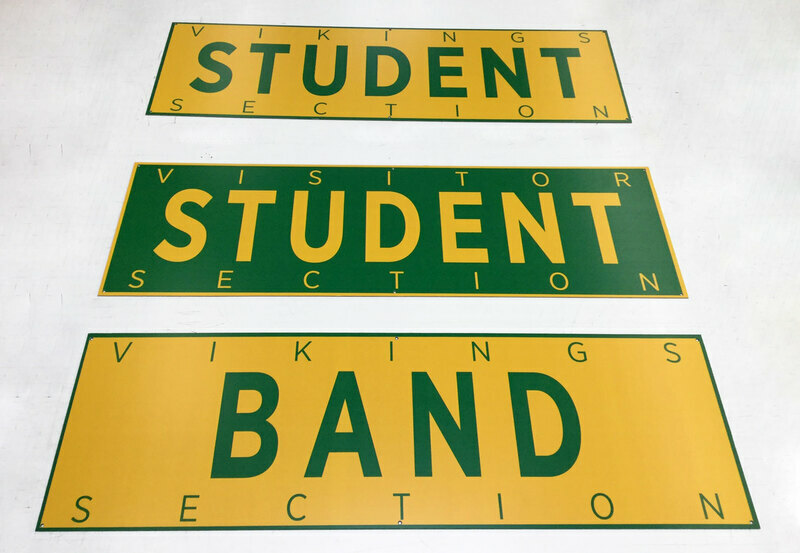 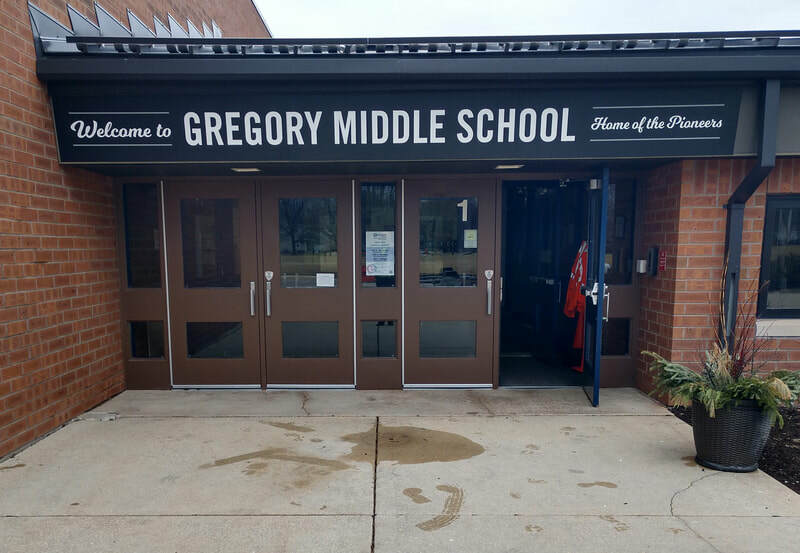 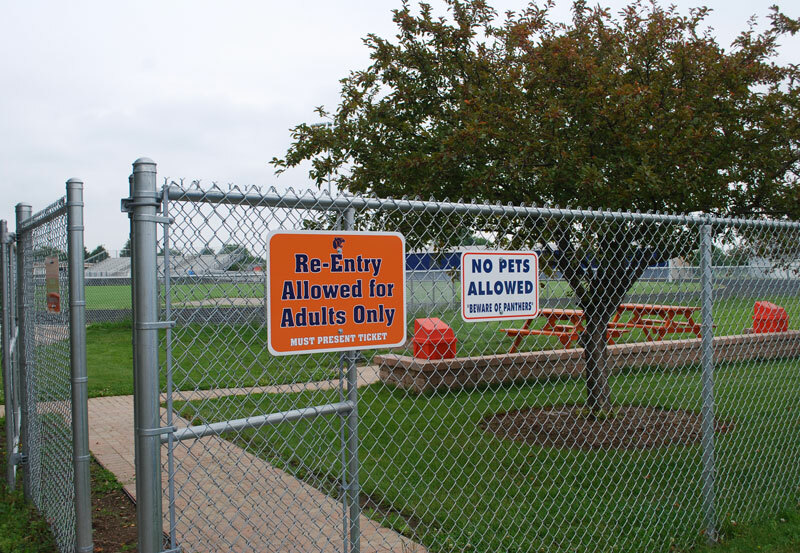 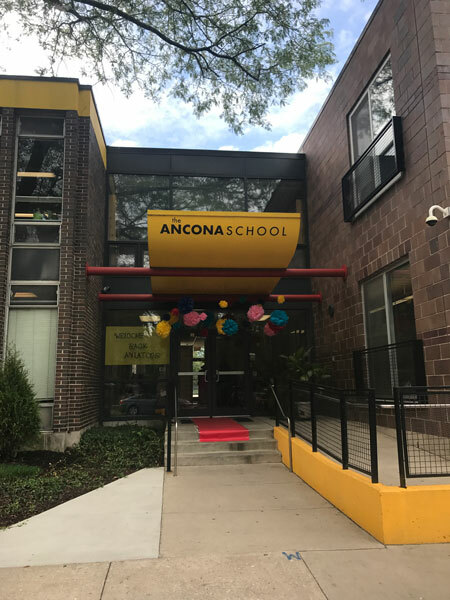 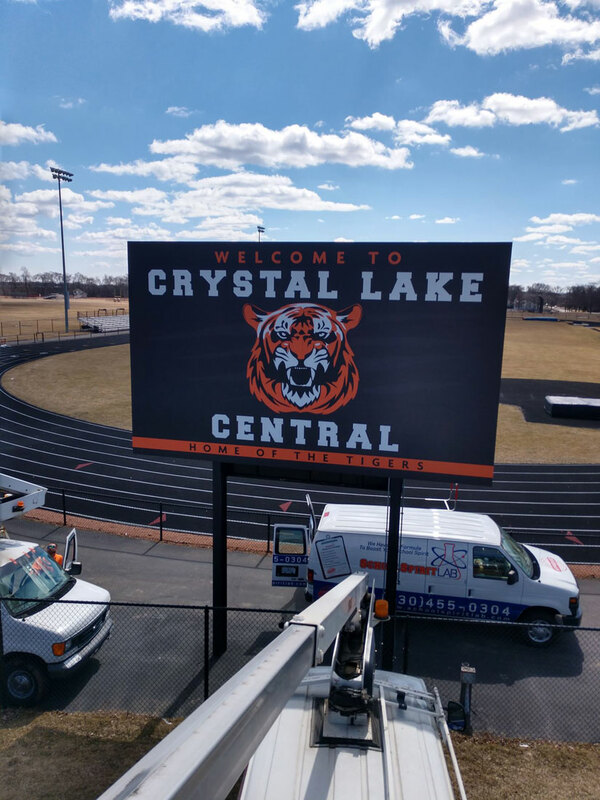 Customized around your school image, we design, build and install quality entrance signs that are durable and will last for years to come. 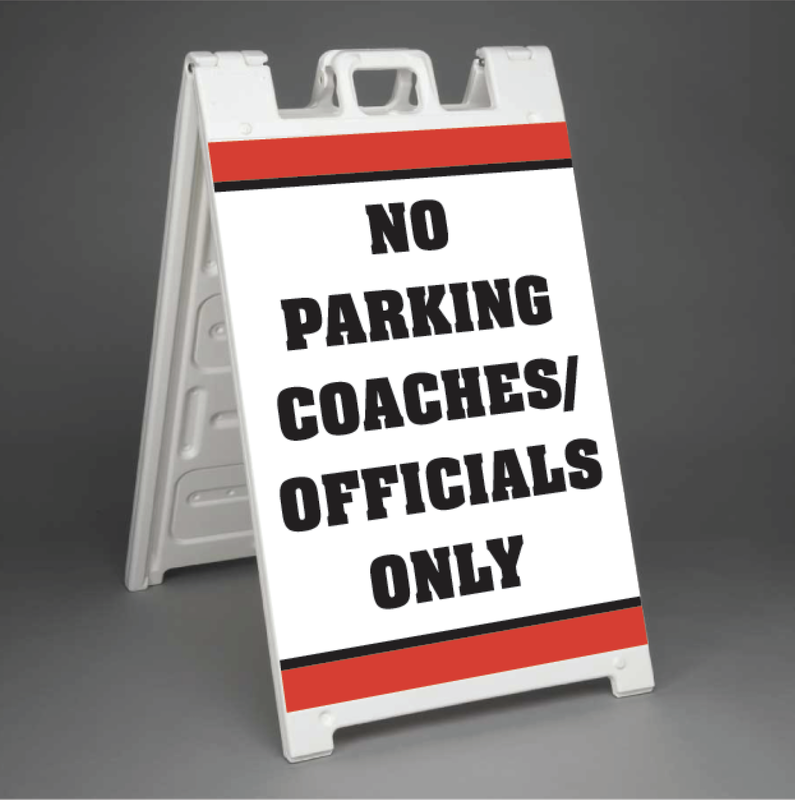 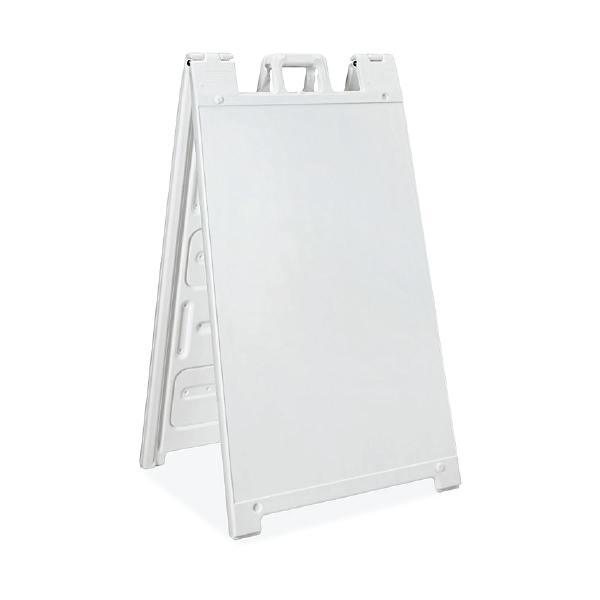 These sidewalk signs help to improve event visibility or attract attention for your upcoming event. 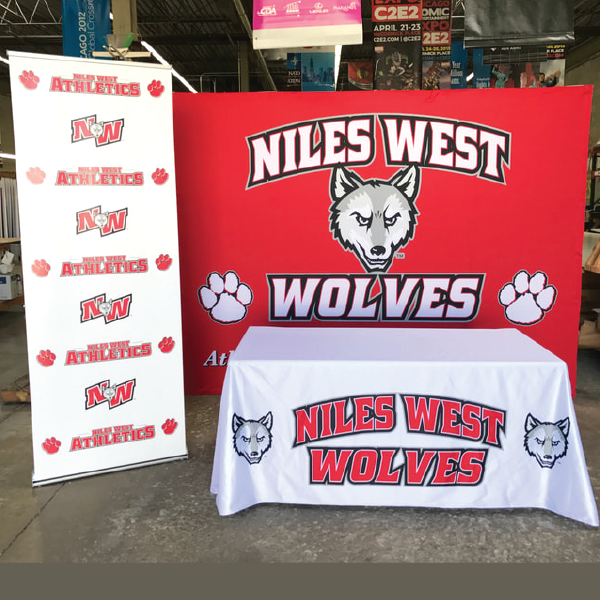 A-frame sign holders are one of the easiest ways to promote an upcoming event and changing out your display prints is a snap! 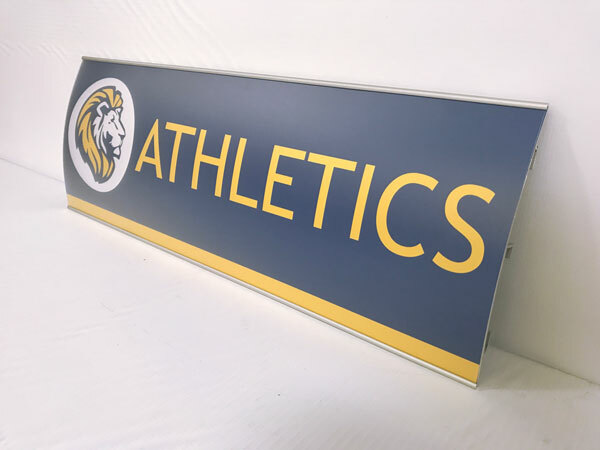 Made out of durable PVC plastic, each display is designed to be portable, enabling you to set it up quickly and effortlessly in order to get the most out of your outdoor advertising space. 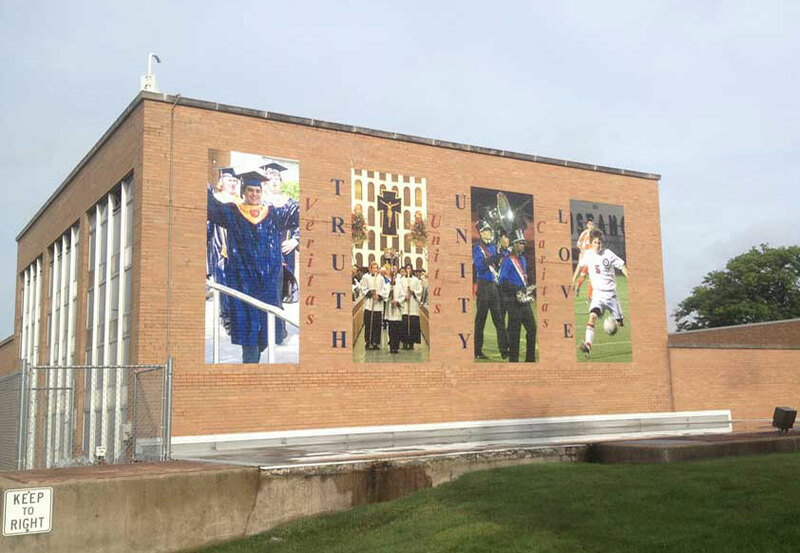 These hold two 24”x36” prints. 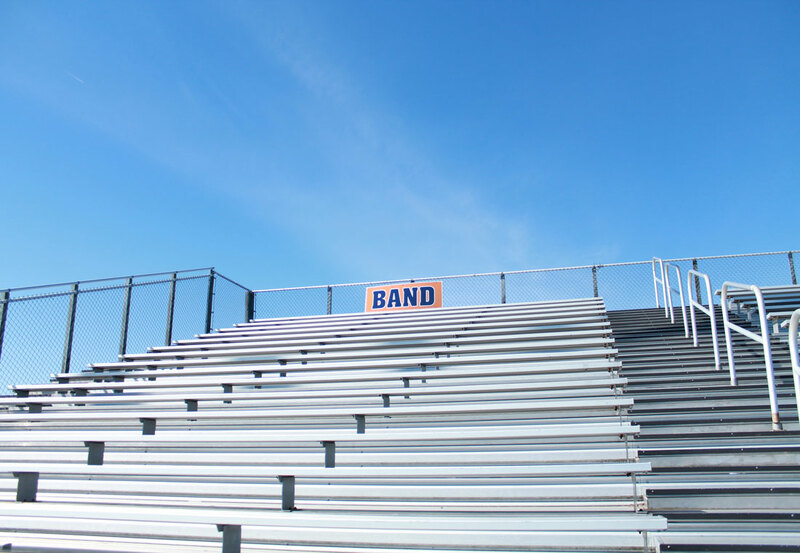 Shade your athletes, coaches, students, and visitors from the harsh rays of the sun at your school events! 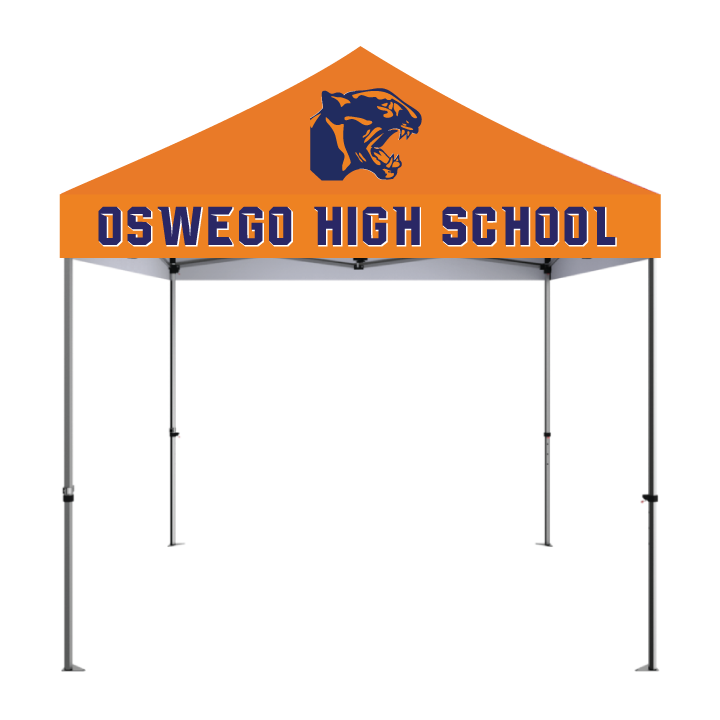 Whether used as a promotional tent, a party tent, or as a temporary base of operations, custom pop-up canopy tents create visibility for you, your brand, and your event. 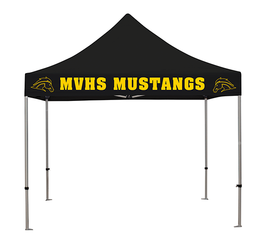 This 10' Popup tent features a lightweight, stable, rust-resistant aluminum frame and is perfect for use at outdoor events. 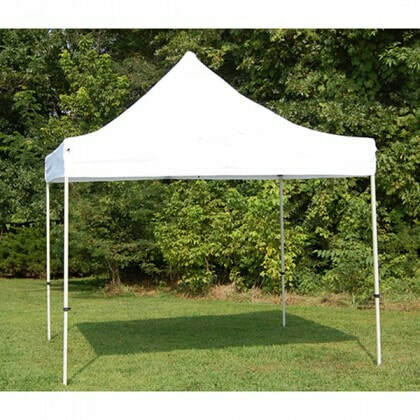 Canopy is made from a durable polyester and is water, wind and UV resistant. 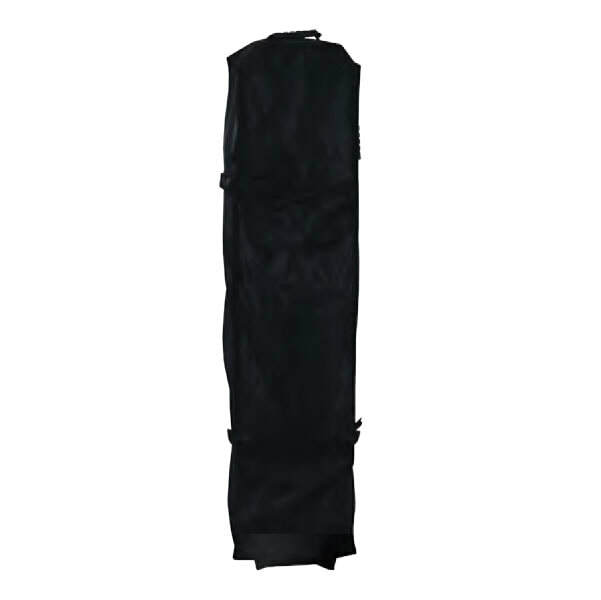 This tent can endure exposure to outdoor elements. 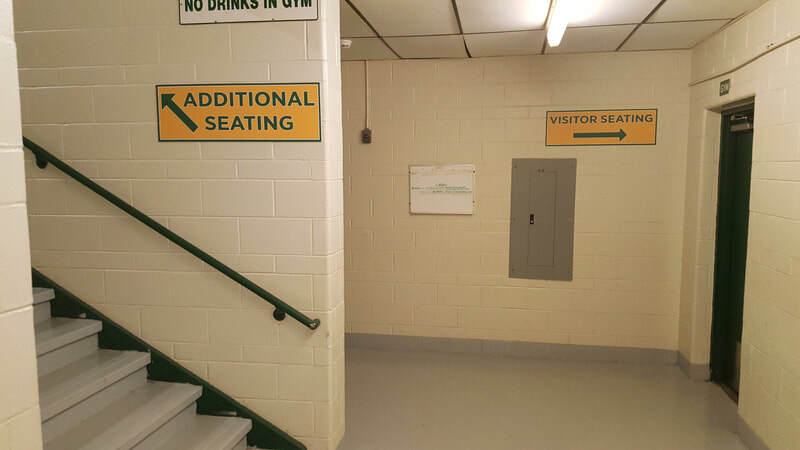 Inform all visitors where to sit during your competitions! 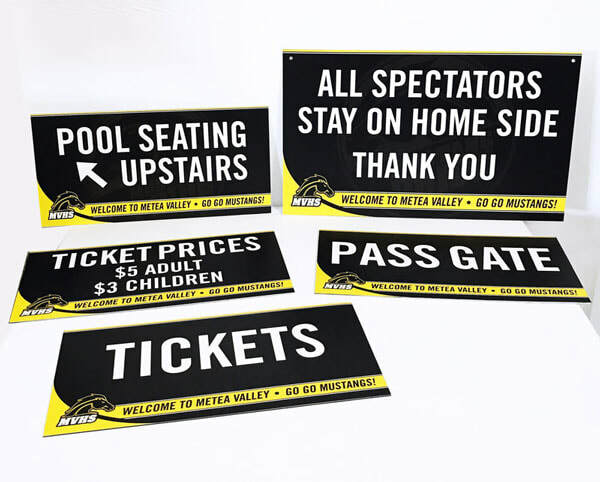 All signage is custom based on interior and exterior applications. 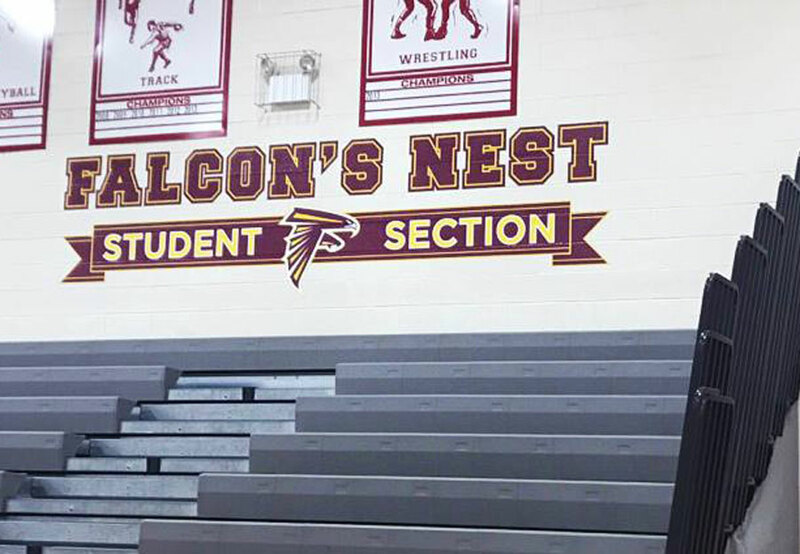 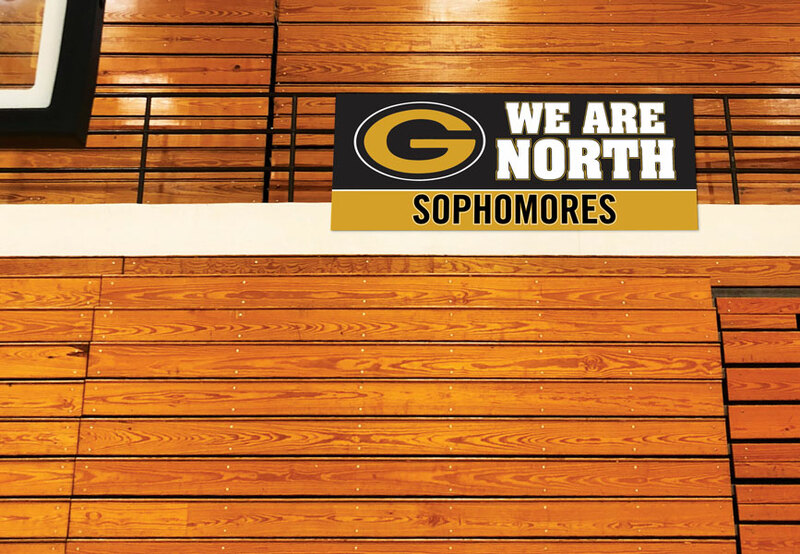 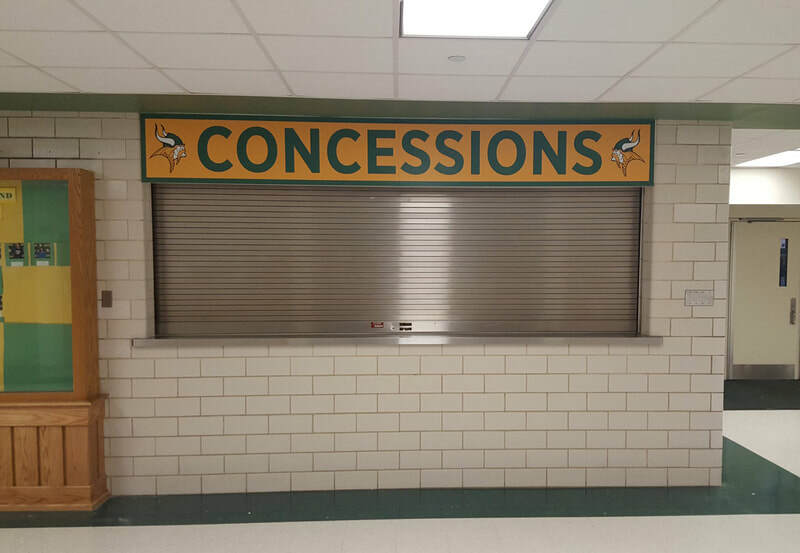 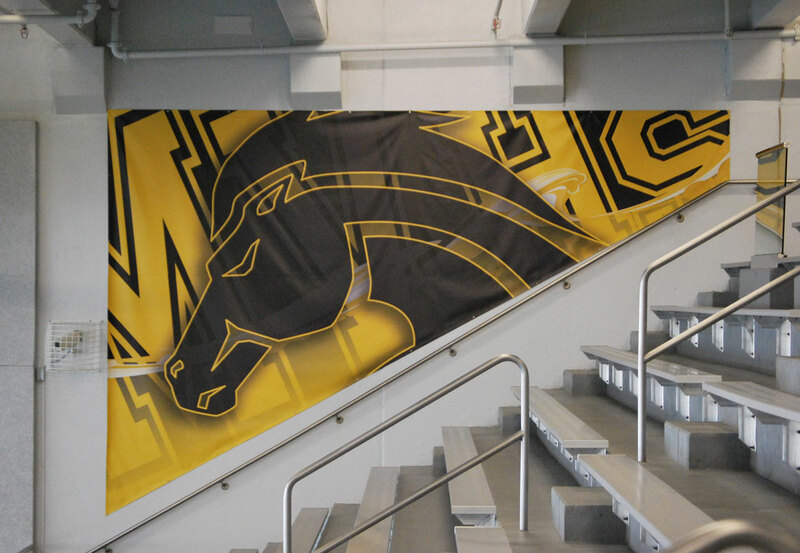 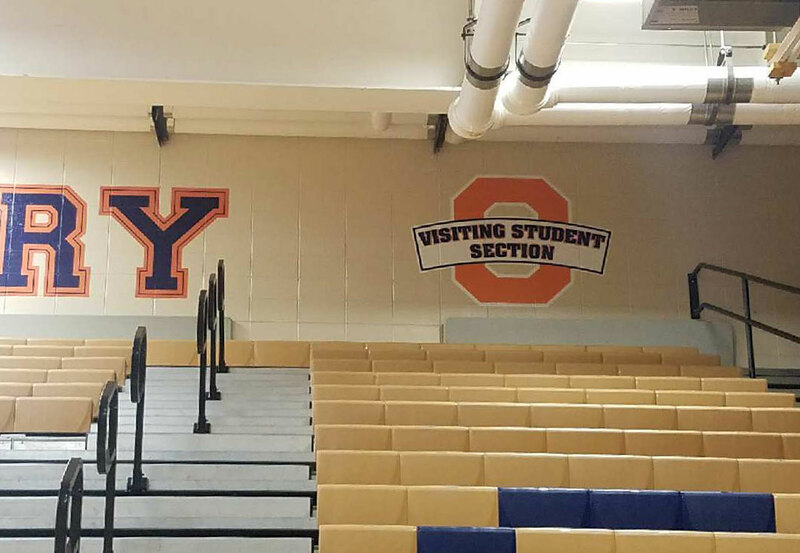 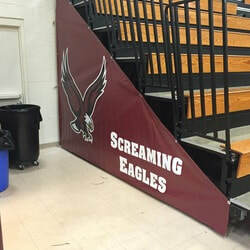 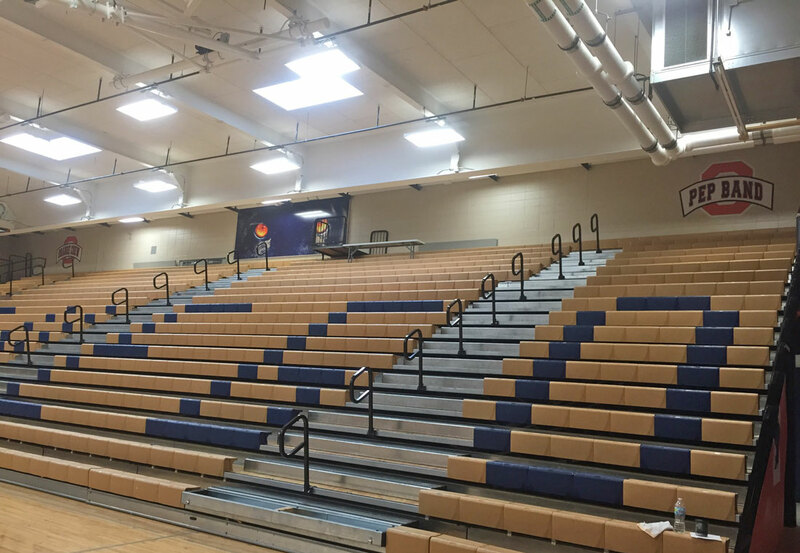 Bleacher banners are a great addition to your gym to cover up that eye sore. 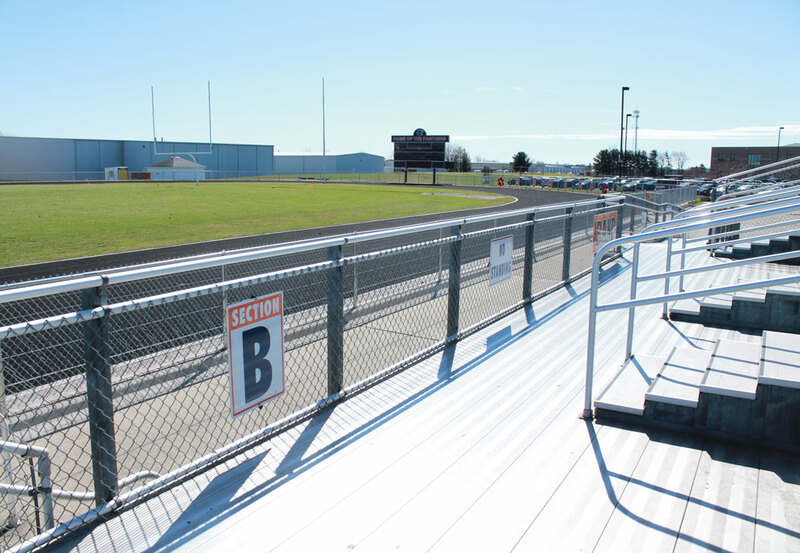 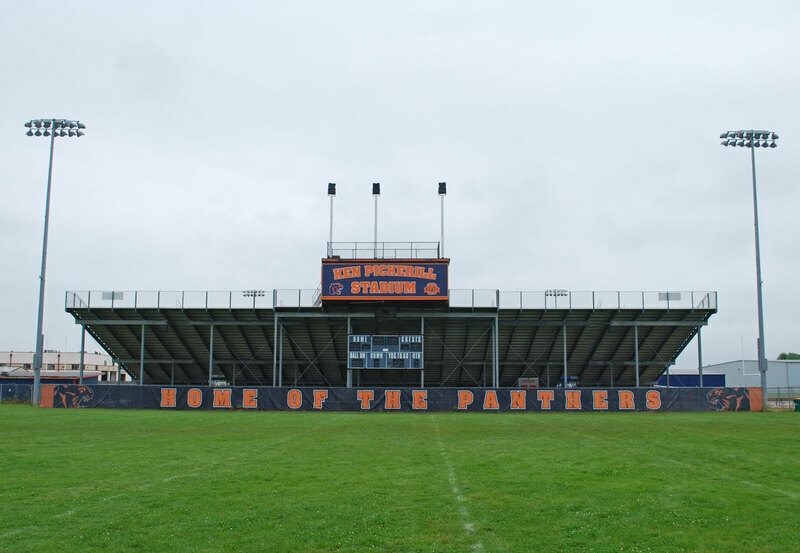 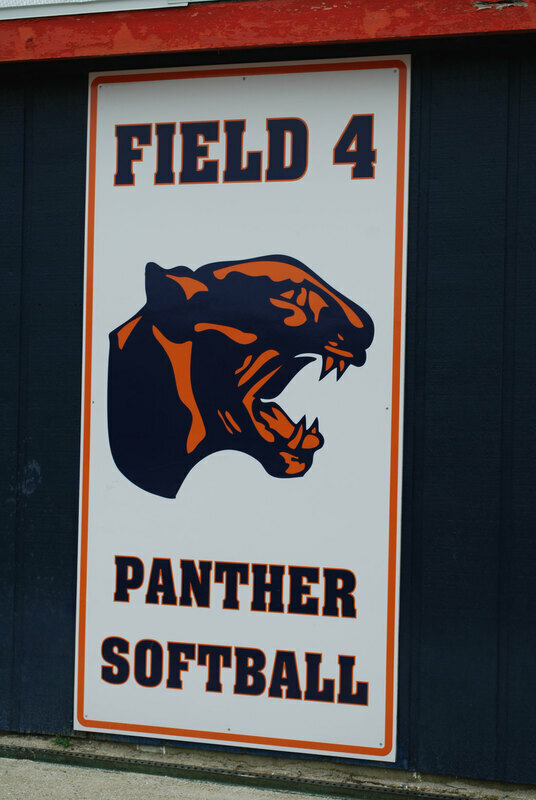 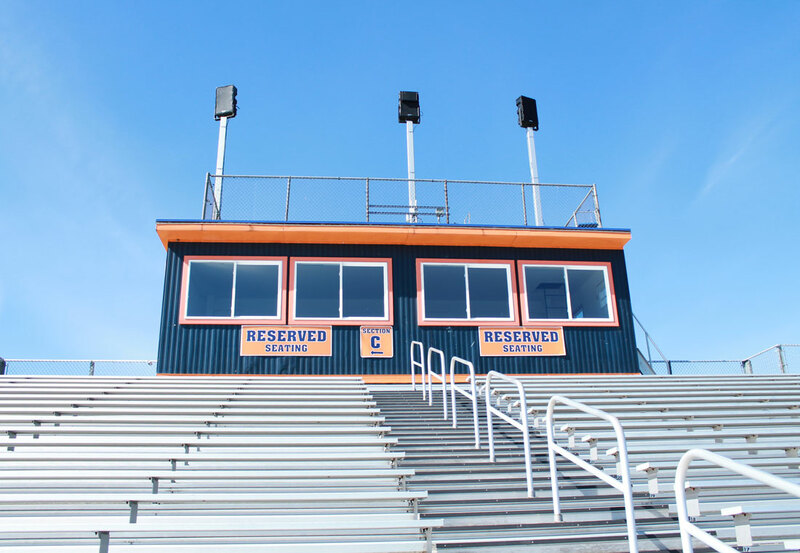 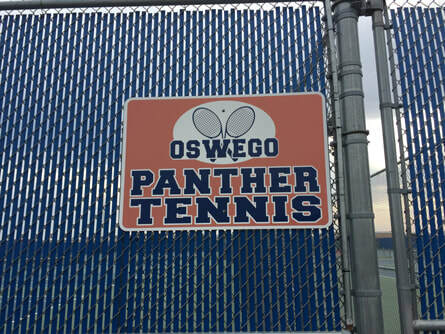 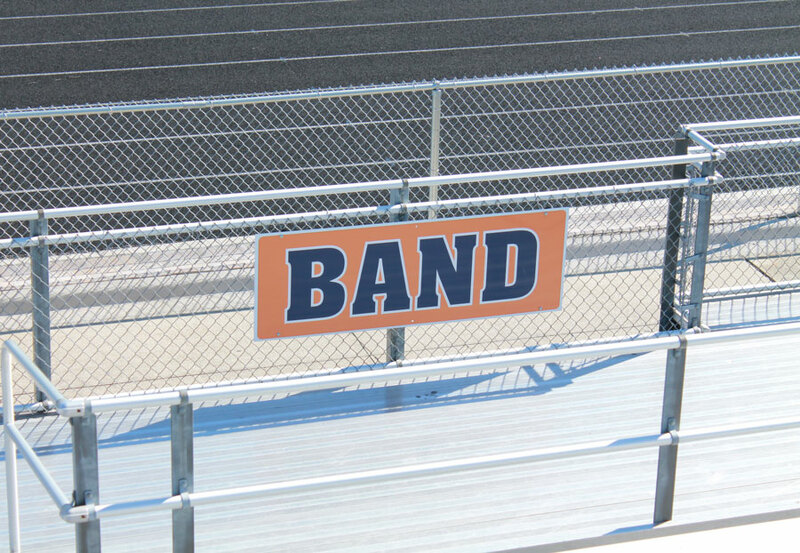 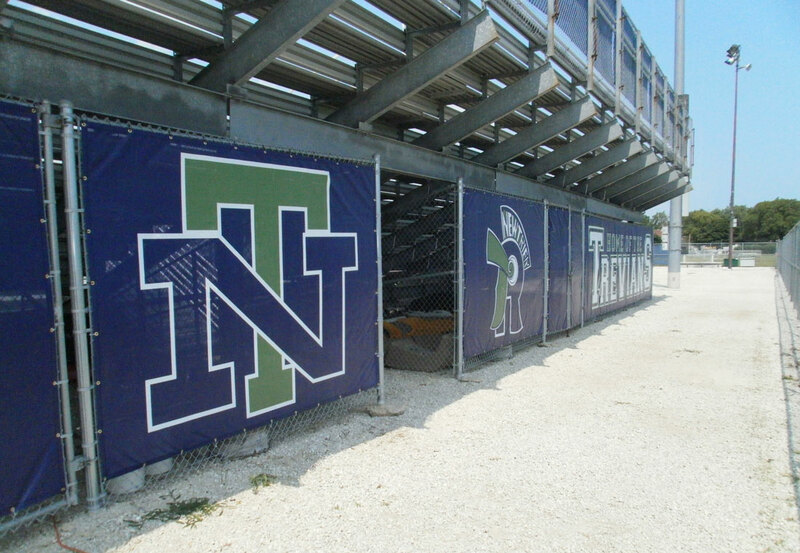 Our banners are attached to the bleachers and will stay affixed when you open and close the bleachers. 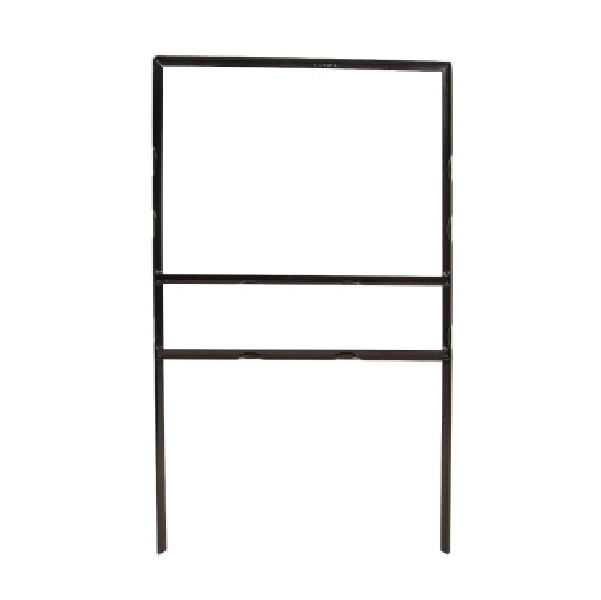 Unique raised-square or "waffle" surface pattern that aggressively cleans shoes. 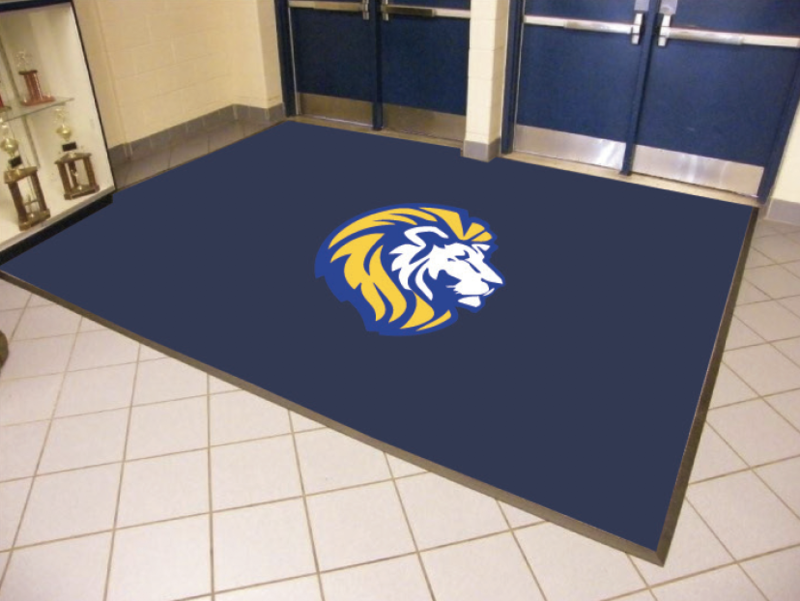 Water-dam border which can hold up to 1.5 gallons of water per square yard; thus water and dirt remain on the mat and off the floors. 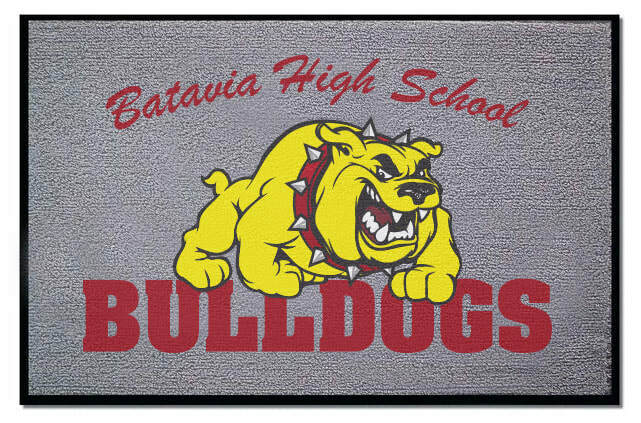 The mat's surface is an anti-static polypropylene fabric that will quickly dry and will not fade or rot. 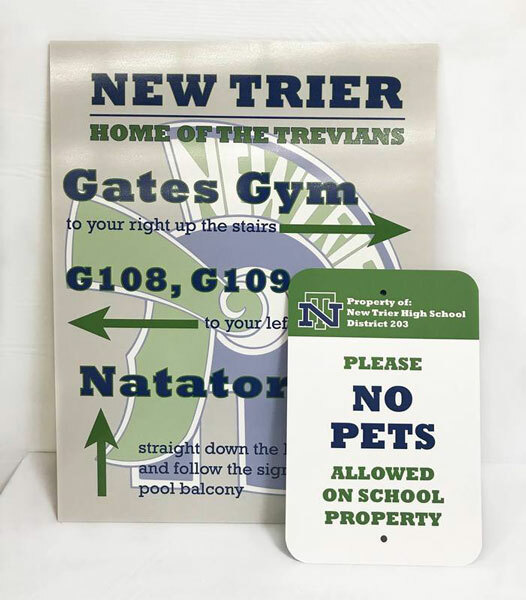 For some applications, a vinyl banner just does not do the trick. 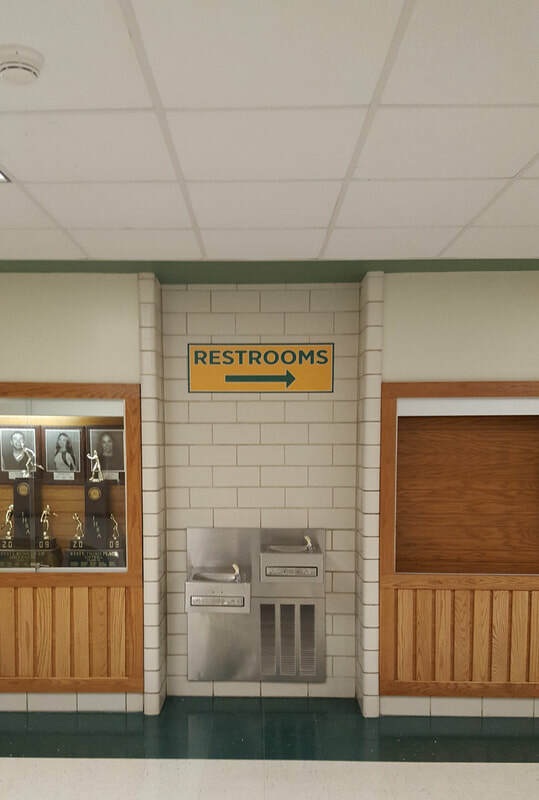 You might want a more rigid or permanent look. 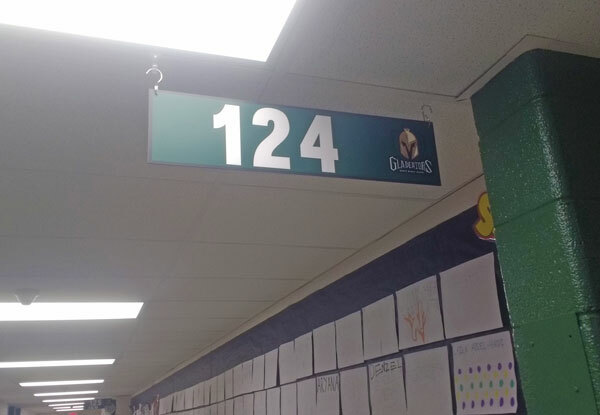 That is where metals signs come into play. 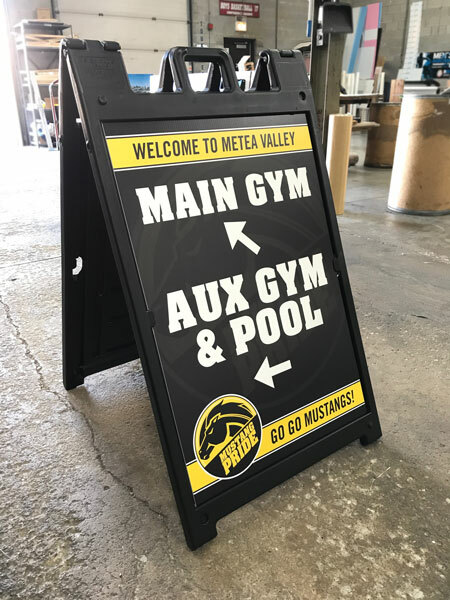 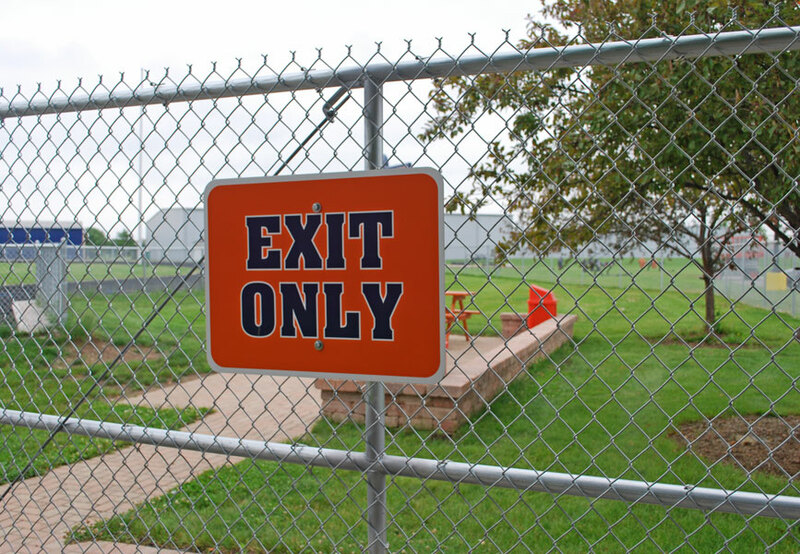 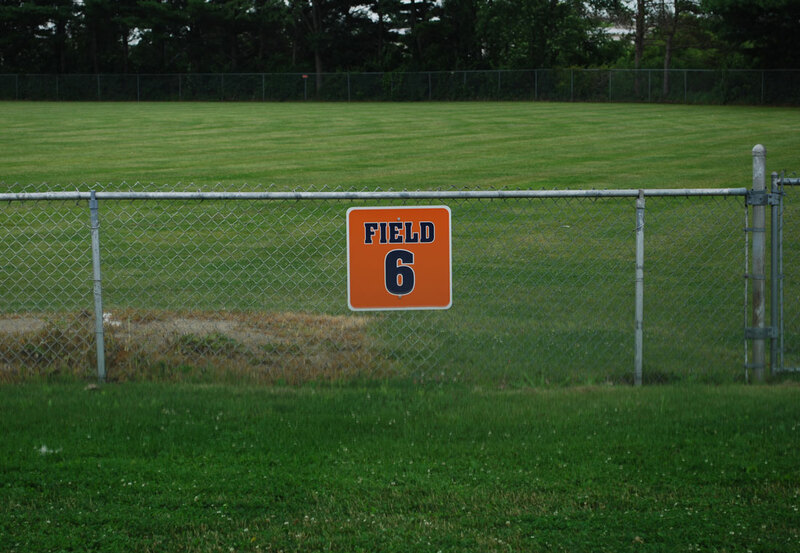 Our metal signs are durable and resistant to corrosion and rust. 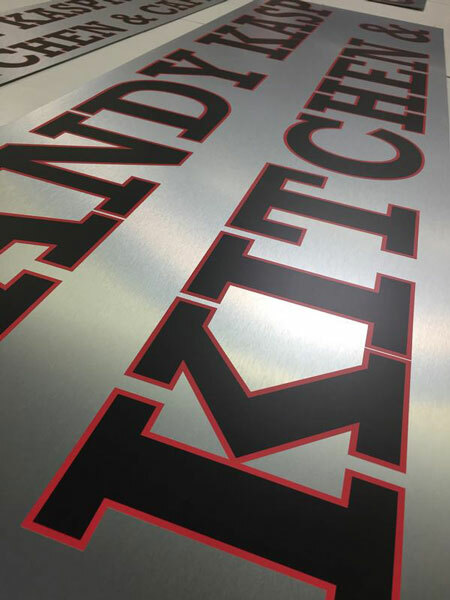 Aluminum signs provide rigid durability for both interior and exterior solutions. 12” x 18” sign blanks are mot common, but sizes up to 4’x8’ are available.